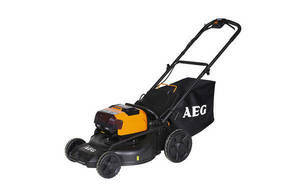 Snapshot: This AEG Brushless Fusion ALM18BS6 is a mulch & catch battery-electric mower that weighs 23kg and has a cutting width of 46cm. But does it make the cut? Easy to adjust cutting height.